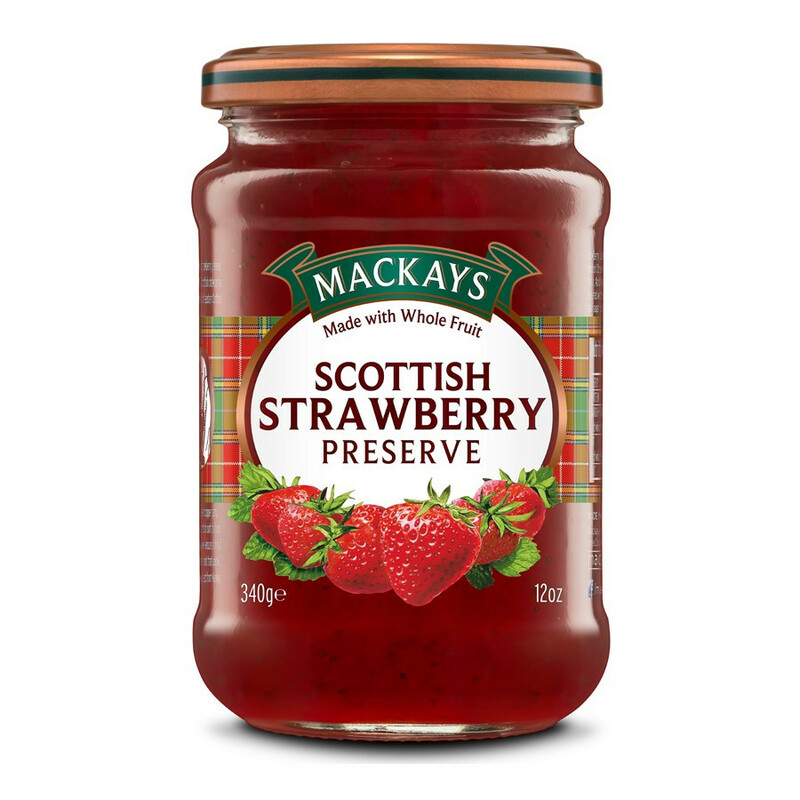 Indulge in Scottish strawberry sweetness... The Mackays strawberry jam will bring a sweet fruity note of red fruits to your breakfast. 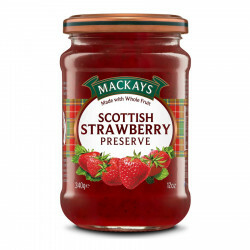 Enjoy the traditional taste of this Scottish strawberry jam preserve! Ingredients: sugar, strawberry, setting agent: fruit pectin, lemon juice.